With Nutritional Therapy, we’ll discover what your body needs to function at its best. 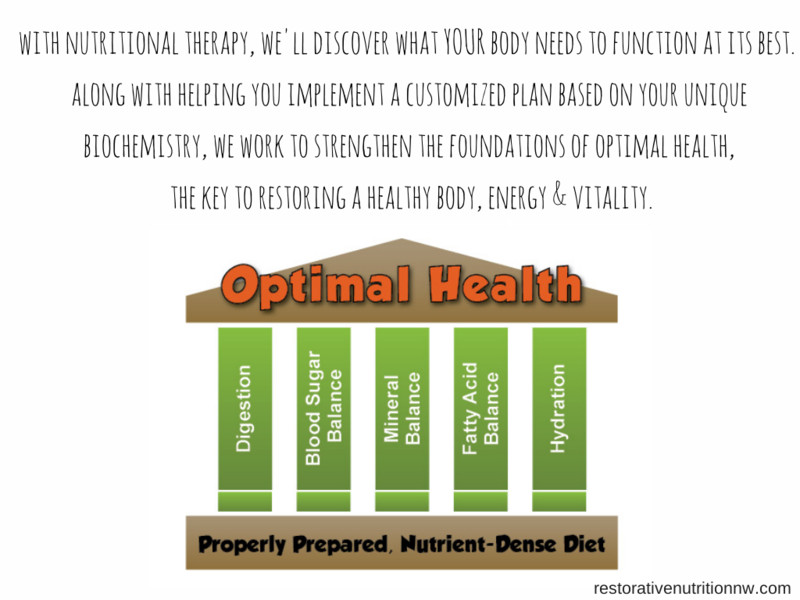 Along with helping you implement a customized plan based on your unique biochemistry to address your short and long term goals, we work to strengthen the foundations of optimal health, the key to restoring a healthy body, energy and vitality. Although Nutritional Therapy is powerful and may be all you need to see big results, often it’s a piece of the puzzle and your body will need support from other health professionals. 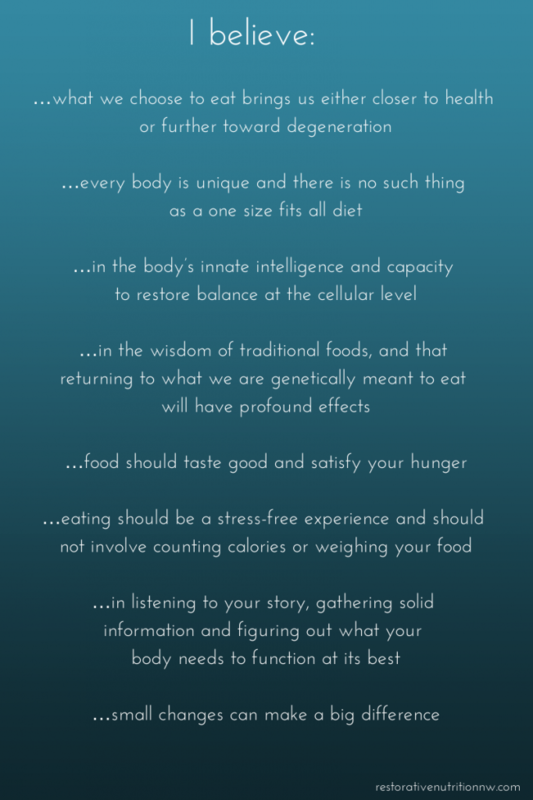 Nutritional Therapy can work beautifully alongside other practitioners, as part of a team effort. For more information on how this all works, please go to Restorative Nutrition NW. If you’re on Facebook, be sure to check out my page where I post nutrition tips, recipes, and resources. 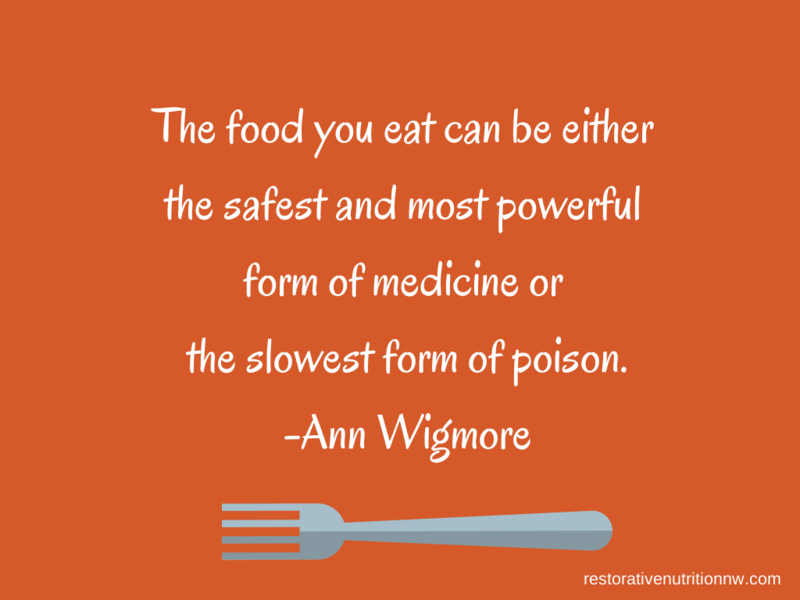 More Nutritional Therapy services can be found here.